Why you should go: Buwan ng Wika means Filipino pride! 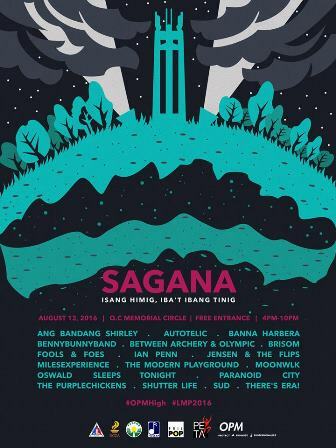 And what better way to celebrate it than a gathering of OPM bands and artists? Watch Ang Bandang Shirley, Autotelic, Banna Harbera, BennyBunnyBand, Between Archery and Olympic, Brisom, Fools and Foes, Ian Penn, Jensen and The Flips, MilesExperience, The Modern Playground, Moonwlk, Oswald Sleeps Tonight, Paranoid City, The Purplechickens, Shutter LIFE, Sud, and There's ERA! Other details: Concert starts 4 p.m. Free entrance!